For someone who was gone too soon at the age of 32, Bruce Lee sure achieved near mythical status. But as Lee’s daughter, Shannon, pointed out in an interview with the Hollywood Reporter in 2015, no film about her legendary father has completely captured the essence of the man behind the myth. A year later, the Bruce Lee biopic Birth of the Dragon, directed by George Nolfi, was released. It stars Philip Ng, Xia Yu, and Billy Magnussen, and is supposedly about a young Lee (played by Ng) who challenges the kung fu master Wong Jack Man (played by Yu). The film, unfortunately, does not give justice whatsoever to Lee, the master martial artist and to Lee, the man. Instead, it depicts Lee as more of a sidekick than superstar, a mere footnote to the exploits of Lee’s fictional American friend named Steve McKee (played by Magnussen). This unfortunate juxtaposition of roles, whether done deliberately or a mere oversight, was justifiably criticised by those who viewed the film as reported by Catherine Shoard who penned a review for The Guardian. The film revolves more on the romantic travails of, a fictional American named McKee, who meets a waitress and falls in love with her, unaware that said waitress works for the local crime lord. So of course, McKee gets in trouble and Lee’s character and his supposedly history-altering rivalry with the kung fu master become mere sideshows. This is despite the trailer (see below) promoting the film as very much Lee and Wong’s story. What’s worse, is that Lee is depicted as a cool-as-ice, nearly dimensionless, emotionless individual who makes a 180 degree turn to quintessential jerk—insecure, jealous, and vengeful—the moment he is confronted by the Wong challenge. This portrayal alone would have been enough reason for the younger Lee to slam the biopic as “a travesty on so many levels,” which she rightfully did as a Quartz article on the film recounts. The fight scenes between Lee and Wong could have been the saving grace for the film, considering Lee’s reputation as close to a fighting machine and Wong’s standing as a kung fu master. But of course Nolfi and his team found a way to mess those up, too, as Lee and Wong’s supposed bare-knuckle, fight-to-the-death battle looked nothing like a conflict between two of the finest martial artists ever to walk this planet. In short, Birth of the Dragon was a complete disaster, perhaps even a blatant money-grab, hoping to make a few millions off of Lee’s near-universal appeal and popularity. The film, though, would not have been the first to try and profit from Lee’s legend. There have been countless movies about Lee, like Dragon: The Bruce Lee Story and Bruce Lee, My Brother (produced by Lee’s brother, Robert). Gaming companies have also rode on the seemingly never-waning popularity of Lee. Datasoft released the game Bruce Lee way back in 1984 for the Atari 8-bit family. Virgin Interactive Entertainment, meanwhile, released Dragon: The Bruce Lee Story, a video game based on the eponymously titled film. The Slingo slot game Bruce Lee is inspired by the master himself, and makes use of images that are distinctly associated with Lee including his likeness, his signature vertical split pose, and several items connected to Lee’s martial arts legacy such as the shuriken and the dagger. The most famous example in the gaming industry is the character of Lee in the Tekken franchise which is a respectful homage to the master. At the end of the day, Shannon Lee was right: no film has captured the essence of Bruce Lee. Fans of her father are no doubt hoping that the next biopic about the Jeet Kune Do founder will finally be the one to give justice to the life and ties of the older Lee. At the end of the day, Shannon Lee was right: no film has captured the essence of Bruce Lee. Fans of her father are no doubt hoping that the next biopic about the Jeet Kune Do founder will finally be the one to give justice to the life and times of the older Lee. This is more of a discussion than a review. I have tried to omit any major spoilers, but you may wish not to read on if you are not up to date with the MCU movies. A Marvel Cinematic Universe (MCU) adaptation of the Civil Wars story arc was never going to translate directly. They couldn’t just take the plot from the comics. The comics included an entire universe (mostly in America) of supers at ends, leading to showdowns featuring hundreds of powered figures around the country. Whereas in the MCU there are roughly a dozen supers currently known of. Hulk and Thor are off doing who knows what, and most the Avengers don’t even have powers, so how much of a battle are we likely to see? With Civil War, when you boil it down, the issue causing the rift was the question of accountability. Do the heroes answer to governments to remain accountable and reduce collateral damage, but throw away their own personal freedoms with the same action? The comics also explored more issues, such as the consequences of heroes revealing their true identity. There’s a lot of source material to use, and this isn’t even half of it. In one camp we have Team Stark. Iron Man is wracked by guilt, and is trying to redeem himself anyway he can. He decides that answering to a governing body will relieve him of responsibility for his actions. On the other side of the fence we find Team Cap. Steve Rodgers knows that doing what is right does not always equate to following the law, and fights against registering to work for a body that will likely restrict his actions. Our supers all pick their side and make a stand. I have to side with Cap on this one. I’m pretty sure the moral of his previous title, The Winter Soldier, was that you can’t trust anyone unless they’re Nick Fury. In that film SHIELD (the good guys that our heroes worked for/with) were secretly being run by HYDRA (essentially new wave Nazis). And if that’s the case, then it’s highly likely that the UN body are being run by some dodgy individuals as well. Not that I can’t see the arguments for pro-registration. The film explores how lives lost as “collateral damage” are still lives that mattered to the families of those who dies. Sure, the Avengers may have saved the world a few times, but the people who lost loved ones when a building fell during a battle don’t always see it that way. And members of Team Stark don’t really sell the virtues of accountability when two members, Iron Man and Black Panther, are both motivated by personal issues and driven by revenge. In fact, I was especially upset by the treatment of Black Panther. In this film, a usually noble and advanced character was depicted as a royal brat throwing his toys. Sure, his actions made sense, based on the plot, but it isn’t fair to gloss over such a great character just for the sake of including him in the film in order to set up a sequel. Captain America: Civil War also opens questions about the futures of key Marvel figures. Marvel sold off the film rights for many of their characters back in the late 1900’s. This is why it was unlikely you would never see Wolverine fighting the Hulk, or The Fantastic 4 teaming up with Daredevil, on the big screen. The characters were owned by different studios, and that’s the way it was set to stay. This can create confusion around some mutually usable characters. Scarlet Witch and Quicksilver are technically mutants, so although we saw them introduced in Avengers: Age of Ultron, we also see them in completely unrelated settings in the Xmen franchise, as different studios use the characters with the same names and powers in separate stories. Spiderman, played by Tom Holland. Notice his new classic look costume. Likewise, Spiderman was a key character in the Civil War comics, but Marvel fans never thought that Sony would relinquish their grip on the rights to his use in cinema. So the fact that Spiderman is appearing in Civil War, opens questions about the future of his character on the big screen. Does this set the precedent for more collaborations and cross-overs to come? For the record, Spiderman is portrayed quite accurately in Civil War. Parker is an dorky teen unsure about how to make the most of his new-found powers. He comes across as awkward, wise cracking with annoying jokes to compensate for his lack of confidence. Small details, like living in Queens with his Aunt May, having his own homemade webshooters, and Stark providing him with a new suit, means that Spidey fans should be pleased with how true-to-the-source he is. As for the rest of the film? I enjoyed it. They did well to take the essence of the comics and turn it into something that worked onscreen. There are plenty of decent fight scenes, and despite the clear power imbalance between the sides, it seems to work. It is a Captain America film, but the two sides of the conflict are show in a balanced way. There are laughs and emotional scenes, and at the end of the film you feel like you’ve got your money’s worth. I was upset about Black Panther, but hopefully this is redeemed by his own title, and I felt that the Spiderman inclusion was done well enough to make up for it. Hot tip: hang around after the credits. We all know that MCU films always have a scene after the credits, but Civil War also has a mid-credit piece as well. I go to the movies probably more than I can afford to, but I seldom review them because nobody wants to read a review written about a movie after it has already been out for a week. I’ll try to sum up my opinion of some of the movies that I’ve watched this year. year. A perfect blend of action, horror and comedy with soundtrack that referenced metal from local and international bands. I also saw Turbo Kid (also produced by Ant Timpson) during the film festival and it was similar in many ways. Hilarious, gratuitous, and with a kickass 80’s sounding soundtrack. It makes me proud that despite the increasing influence of Hollywood over our local industry, New Zealand can still churn out some brilliant films. 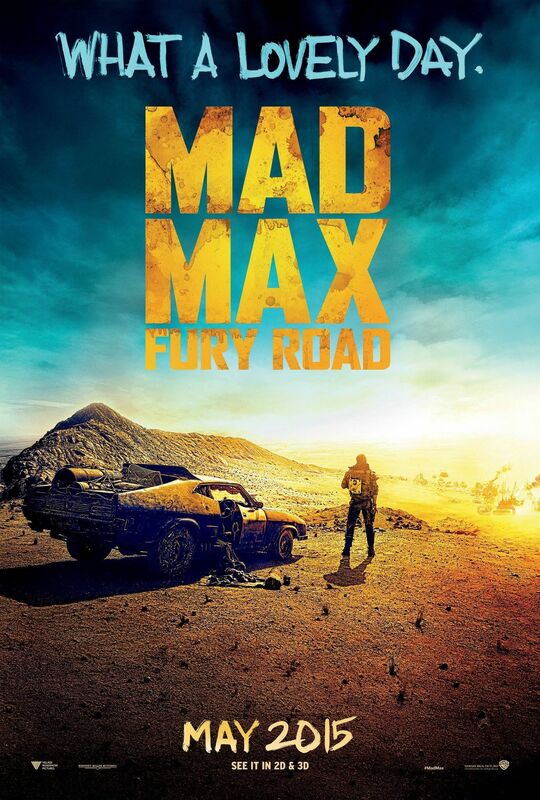 Mad Max: Fury Road is the obvious runner up for film of the year. Full on action the whole way through, without most of the annoying clichés and tropes that you’d associate with a gasoline fueled blockbuster like this. 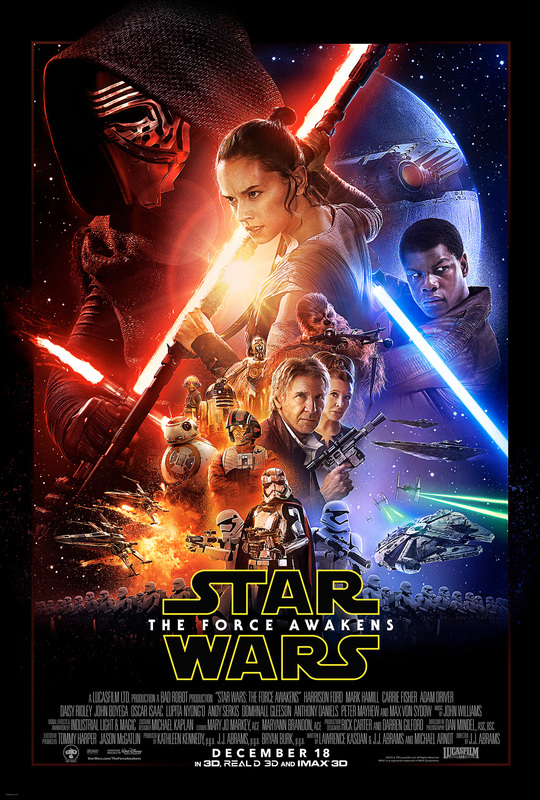 And it may be because I only saw it a few days ago, butStar Wars: The Force Awakens gets my vote for third place. I can’t deny being a Star Wars nerd, and I’m glad the new entry does justice to the series. Just as the prequel trilogy mirrored the originals, the new episode mirrors earlier films in a way that feels familiar, whilst still introducing new characters and possibilities. JJ Abrams was a smart choice for director, having revived the Star Trek franchise in recent years. My other faves were The Martian and Everest. I was worried that The Martian would be a drawn out snoozefest like Interstellar (both films stared Matt Damon and were set in space), but The Martian held up as an entertaining and clever sci-fi. I was also pleased to see that Everest lived up to my expectations. I had met Jan Arnold, the wife of lead character Rob Hall, in highschool. Their tragic story was brought to life tastefully, while still retaining essential elements of good cinema. As a teacher, keeping up with the latest children’s filmsis part of my job. Surprisingly though, I can only think of two that came out this year. Inside Out was a great exploration into human emotion, but was perhaps too mature for its child audience (not that this prevented the children who saw it enjoying themselves). Minions was annoying, and it is a shame that Despicable Me has stooped to such levels. Children loved it though, so it doesn’t matter what I think of it. I don’t watch as many horrors as I used to, but I still enjoy them. 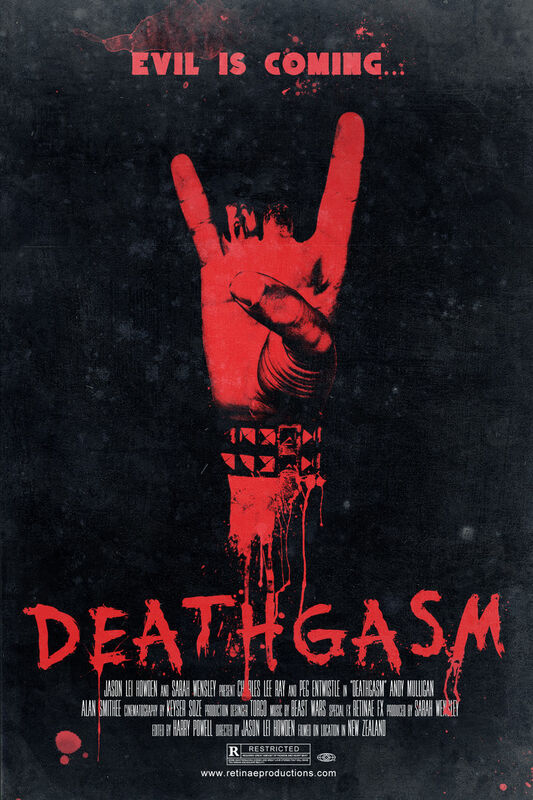 Deathgasm was the best I saw this year, as I stated above. It Follows was a horror that garnered universal critical acclaim. I have mixed feelings about it. I do feel that it was over-rated, but the weird premise did have me thinking about it for days afterwards. I won’t ruin the plot, you’ll just have to find out for yourself if it lived up to the hype. Cooties was a deliciously fun low-grade horror boasting big name actors (Elijah Wood, Alison Pill, Rainn Wilson). Contaminated chicken nuggets turn children at a primary school into prepubescent zombies, with the teachers resorting to whatever extreme measures they deem necessary for survival. I was pretty excited when I first heard about Straight Outta Compton, the NWA biopic. I enjoyed watching it, but it was so long that it started to lose impact as it progressed. There has been lots of litigation and controversy surrounding the film, with certain parties claiming that their role has been downplayed (MC Ren), or depicted in defamatory light (Suge Knight – Death Row Records co-founder, and Jerry Heller – former NWA manager). It will be interesting to see how follow up films pan out – a biopic focusing on the following wave of rappers like Snoop Dogg and Tupac is currently in the works. One heartwarming docu mentary I saw was called Landfill Harmonic, about a village in Paraguay where children form an orchestra in which they play instruments made from rubbish found in the landfill that many of them live on. It’s one of those underdog tales that show how people can rise from poverty to achieve something great. Spectre, the latest James Bond film (with the same plot as Mission Impossible: Rouge Nation), was ok, but not great. But you have to see it, simply because it’s Jame Bond. Same goes with any Marvel film. People watch them, regardless of how good they are. I thought that the second Avengers film was better than the first, but it was still forgettable. Jurassic World was an uninspired modern rehash of the original. Some up-to-date CGI wasn’t enough to disguise unlikable actors presenting th e same plot as the earlier films, but despite this, dinosaurs still had pulling power to make Jurassic World millions of dollars. Furious 7 , Terminator: Genysis and Hunger Games: Mockingjay pt 2 were some of the few major blockbusters from established series that I’d consider recommending (other than Star Wars and Mad Max, that I’ve already mentioned). There were other films that I saw that aren’t worth mentioning, and likely many that I missed that are. What were your top movies of 2015? What ones did I miss that I really need to see? Or which ones do you think I need to reevaluate? Everest is a true story centred around Kiwi mountaineer Rob Hall (Jason Clarke) who guided a group to summit Mt Everest alongside other groups in 1996. It is based on the autobiographical book Left for Dead: My Journey Home from Everest, by Beck Weathers (Josh Brolin), one of the characters in the film. Hall’s wife Jan Arnold (played by Kiera Knightly in the film) lives in my home town of Nelson. She came and gave a talk to my year group when I was in high school, so I had a fair idea about what the plot would involve. This didn’t spoil anything though, because I was still kept on the edge of my seat throughout. Willing climbers have paid Hall and his company Adventure Consultants to guide them to the summit of Everest and back, based on his reputation for success and safety. There are also two other groups who are attempting the same during the two week window: a selfish South African group, and Mountain Madness, led by Scott Fisher (Jake Gyllenhaal). The overcrowding at base camp causes some complications, but as Fischer points out, it’s not a matter of the three groups competing against each other, but rather a matter of every person competing against the mountain. We get to know the key characters, their motivations, their weaknesses. Hall has a pregnant wife back in New Zealand. Weathers is a rich American who pursues mountaineering to avoid depression. Doug Hansen (John Hawkes) wants to prove that an Average Joe is capable of extraordinary things. Yasuko Namba (Naoko Mori) has climbed six of the Seven Summits (the highest peak of each continent), and seeks to complete the set. We watch with abated breath as the climbers all seek to accomplish a common goal: to summit Everest and survive to tell the tale. I applaud whoever did the casting for this film. The collective acting talent is strong enough that I was able hear to attempts at the New Zealand accent without feeling compelled to cringe. It sounds petty, but it really is an achievement. The only other example of an actor capable of pulling this off (that I can think of) is Anthony Hopkins, who played Kiwi motorcycling legend Burt Munro in The World’s Fastest Indian. And it’s not just acceptable accents that got noticed. The cast take us on an emotive ride that having us vicariously cheering one minute, and choking back tears the next. This is certainly a film that shines in a cinema setting, doing justice to the vast scenery shots displayed across a big screen. The scale of the cluttered Nepalese cities and majestic icy peaks are breathtaking. It is nice to see some authenticity, with some of the filming having taken place in Nepal, with the rest being shot in the Italian alps and the UK. Both triumphant and tragic, Everest tells a gripping tale that reels you in and displays the destructive power of both nature; and the power of the human spirit and will to survive.